Microsoft has rearranged its management team for Windows Phone, shifting division head Andy Lees to a "time-critical opportunity" to build momentum for its Windows Phone and Windows 8 operating systems, a move that some have viewed as a sign of failure. An internal memo from Microsoft Chief Executive Steve Ballmer was first leaked by AllThingsD, then publicly released on Monday. The document caused some confusion as it was unclear whether Lees' new role was a promotion or a demotion. Ballmer wrote to employees at the Redmond, Wash., software giant that Lees, who took over as Windows Phone president just 14 months ago, would move to a new role working for him on "a time-critical opportunity focused on driving maximum impact in 2012 with Windows Phone and Windows 8." The executive noted that the change would set Microsoft up to "really deliver" on the "tremendous potential" of the two operating systems. The memo thanked Lees for his contributions to the team, noting that he had made a "ton of progress" in a short amount of time. "In the three years Andy has been leading the phone group, weve come a long way  we reset our strategy, built a strong team that delivered WP7 and WP7.5 and created critical new partnerships and ecosystem around Windows Phone," the note read. Former Windows Phone engineering lead Terry Myerson will take over Lees' existing responsibilities, including development, marketing and "other business functions," according to the memo. "Because Terry has been so integrally involved in our Windows Phone work already, Im confident that he can make a seamless transition to this new and broader leadership responsibility," Ballmer wrote. Adding to Ballmer's words of affirmation, handset maker Nokia, a close partner with Microsoft these days, issued a statement praising Lees' work. The fact that Lees' role will span both the Windows and Windows Phone teams may serve as further evidence of Microsoft's plans to merge the two platforms. Ballmer has made clear that his vision for Windows is for it to be "everywhere on every device without compromise." Lees said in July that he believes PCs, tablets and phones will eventually merge into a "unified ecosystem," though he did not indicate when he expects that to happen for Microsoft. Windows 8 will take a step in that direction by adding support for ARM-based architectures and including a secondary tablet-oriented interface called Metro. The operating system is slated for release sometime next year. However, Lees' new role was also taken by some to be a result of disappointing sales of Windows Phone. Joe Wilcox of BetaNews speculated that Ballmer's email could be interpreted as a firing of Lees, though "he's too high level to just show the door." Wilcox went on to note that Windows Phone's paltry 1.2 percent market share in the third quarter is a "measure of failure, in a really big way." "On second thought, I'm convincing myself that Lees is sidelined and as a leader, forgive me, castrated," he wrote. "Hell, he is no longer a Microsoft president —and over one of the company's most strategically important product groups. "It's likely the Lees era is over at the Windows Phone division," he continued, adding that "Microsoft has fallen too far behind and can't get up." 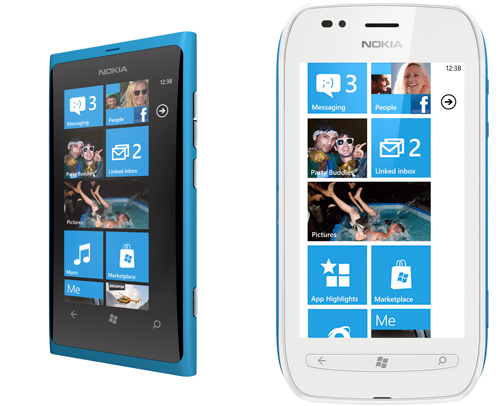 Windows Phone 7 arrived last fall, but failed to gain much support from consumers. Reviewers praised some of Microsoft's user interface decisions as "novel and attractive," while generally noting that the OS appeared to be a few years behind Apple's iOS and Google's Android. Ballmer said in September that Windows Phone's first year of sales didn't amount to "quite as many as [he] would have liked." Microsoft worked to make up for lost time with a major update, codenamed "Mango," to Windows Phone this fall. In October, Nokia unveiled its first two Windows Phone devices under the brand "Lumia" after agreeing to abandon its own Symbian OS in favor of Windows Phone early this year. Some analysts are skeptical that even Nokia, the world's largest handset manufacturer, will bring Microsoft critical mass for its mobile platform. Pacific Crest Securities analyst James Faucette cut his sales forecast for Nokia's Windows Phone devices in half last month, stating that he believes the handsets are "unlikely to get traction." Microsoft's partners are also worried about the platform. U.S. wireless operator AT&T has even admitted that Microsoft will face "a lot of challenges" in going up against its well-entrenched rivals.